All you’ll need to know about Pattern Kits – but were afraid to ask! Orders for Round tables, Square Cornered table, Cut-Corner tables, and Racetrack/Capsule Oval tables, DO NOT need to be traced. Orders for these types of tables can be ordered based on measurements alone, by phone or through or shopping cart. If we’ve already made pads for your model table, we’ll use the pattern and specifications in our database. If we don’t have the pattern for your table, or if you don’t know the make and model, we’ll send pattern paper to you. Once we receive your tracing, we’ll be able to complete your order. We have thousands of table patterns on file. If you’d like to know if we have the pattern for your table on file, just contact us by phone or email. * Most manufacturers put a sticker or other identifying name and numbers underneath the table top. You also might find this information on a receipt or online. This information can be submitted with your order. 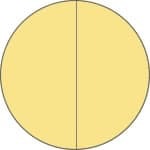 ** Racetrack/capsule is a specific type of oval where the curve at the end of the table is like 1/2 of a circle. If you believe your table is racetrack shaped, indicate so in the comments field of your order. We will follow up with a test to confirm whether it’s racetrack or not. If it’s determined that the shape is not racetrack, the table will need to be traced. What about tables with rounded corners? 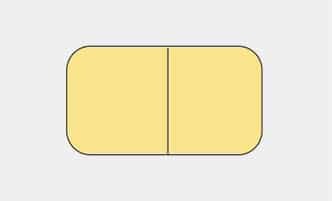 Can I measure the rounded corners instead of having to trace them? Yes, just follow these steps: 1. Print out a radius corner template. 2. See which radius matches the corners of your table (the template works up to 6-1/2″). 3. When you place your order, you will be able to indicate the size of the corner. If the radius is greater then 6-1/2″ , the table will need to be traced.